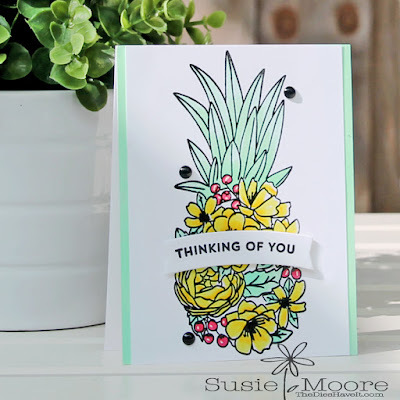 I used the Pineapple Perfection stamp set which was released recently from Concord and 9th. What a fun set! I also have the matching dies so I used the banner die to hold my sentiment. I like that the focal image is so big. It was easy to color which always works for me! I added a few enamel dots to finish my card to share with you today. I just saw this stamp this morning at Ellen Hutson... wow! Love what you did with it! Just fabulous! Thanks for joining us at Color Throwdown! Susie, this is just beautiful! 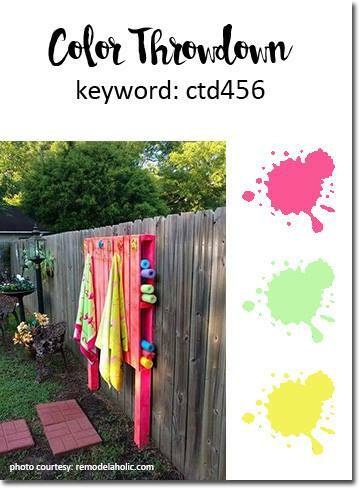 I'm so glad you played along with us at Color Throwdown this week!